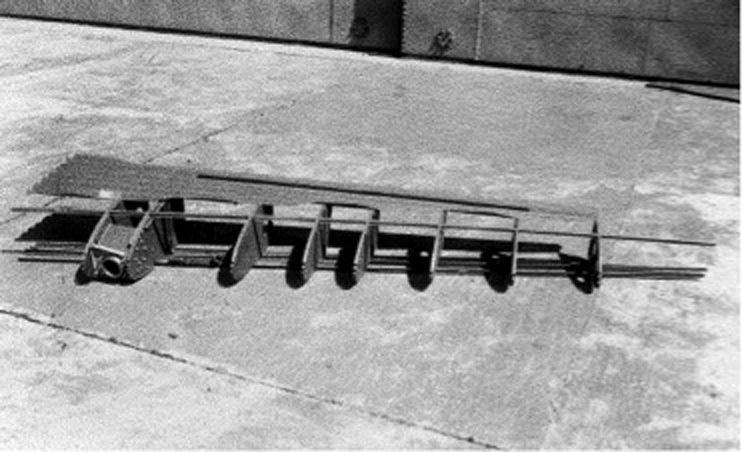 CAC Boomerang wing spars. Note the two painted bands, one at each end of the top spar. This indicated this as the master sample that all thereafter should follow. 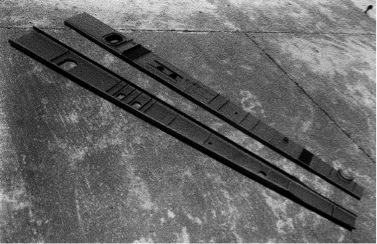 This is the Boomerang leading edge frame work for the port outer wing, again used as a master for further production. 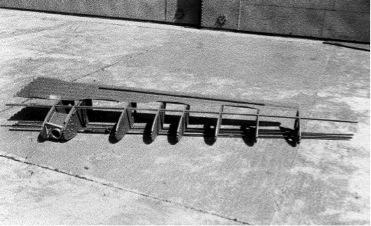 The section on top is a "U" shaped corrugation section over the top of the main spar to continue strength through the wing around the gun bay opening in the upper surface of the wing. The casting with the hole in it carries the cannon mounting. 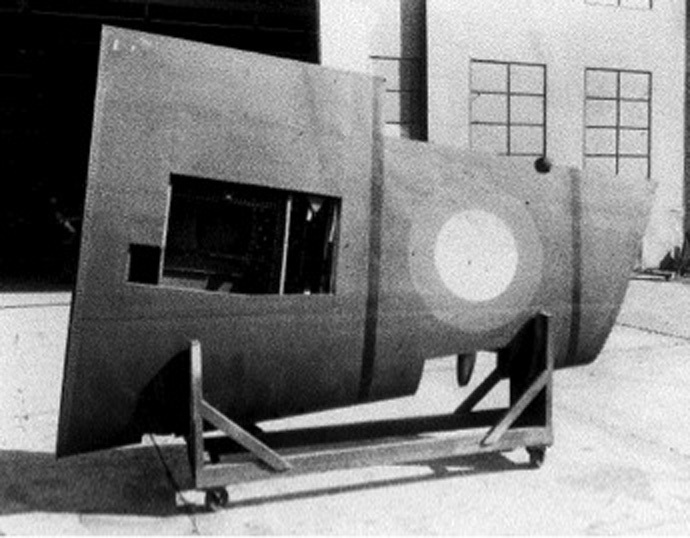 CAC Boomerang port outer wing, again showing the two painted blue bands indicating it as a master copy. 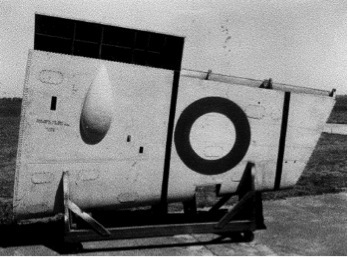 The openings in the front edge below the roundel are for landing light cover and gun camera cover. The gun bay door is attached by removable piano hinge wire front and back. Centre red dot in roundel is not featured. CAC Boomerang starboard outer wing under surface, again showing the two blue bands of a master copy. The large tear drop blister allows the installation of the cylindrical cannon shell magazine that fed the 20mm Hispano. The exhaust shoots for cannon and machine guns are visible. Outer flap fits to the 'black' area, aileron to its right and wing tip to the sloping edge. Landing light cover goes over the cut out in the leading edge. The black slots either side of the blister are for spent shell exhausting.